Grand Sirenis Punta Cana Resort has 32 buildings of two to three floors where its 817 rooms are located, equipped with everything necessary to make the client feel at home in Punta Cana. The recently refurbished double rooms and double romance rooms invite you to discover the Caribbean in a space of inspiring design and full of light. 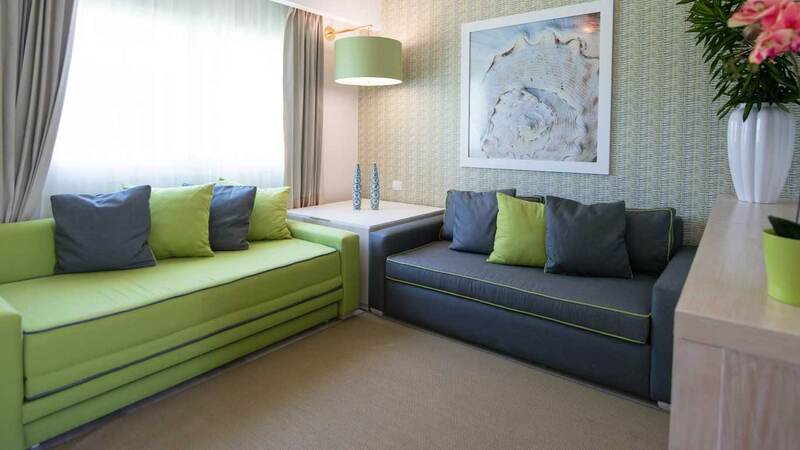 If you are looking for maximum comfort during your holidays, the Family Suites are perfectly equipped rooms, with modern lines, with colors that provide a warm atmosphere and comfortable and functional spaces. 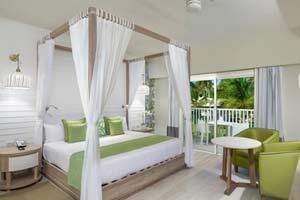 The Suites at Grand Sirenis Punta Cana Resort also offer a small lounge area, king size bed, whirlpool bath and shower and double basin. 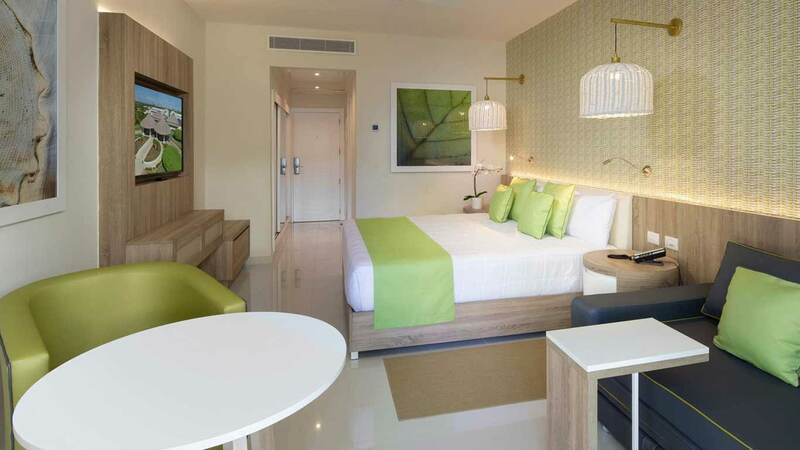 The new and spacious double rooms at Grand Sirenis Punta Cana Resort measuring approximately 32 m2, with views of the hotel gardens are designed to surprise even our most discerning travellers and offer a superior level of service. 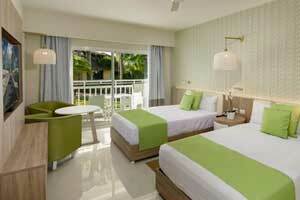 Grand Sirenis Punta Cana Resort double rooms are decorated in a fresh and pleasant style with warm lighting. 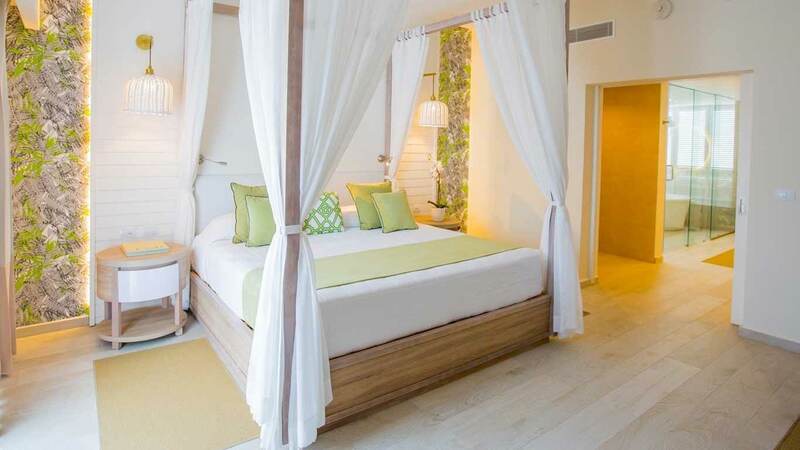 New Romance Double Rooms at Grand Sirenis Punta Cana Resort, with a romantic design, canopied bed and hydromassage bathtub. The Grand Sirenis Punta Cana Resort Casino & Aquagames Romance Double Room offers you everything necessary to make your days of sun and sea in Punta Cana truly special, also allowing you to enjoy the privilege of relaxation in the hydromassage bathtub at any time. 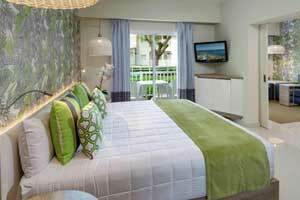 New Family Suites at Grand Sirenis Punta Cana Resort, with a very contemporary, modern design. 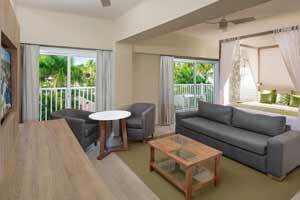 The sliding door provides the necessary privacy between the main bedroom and the lounge with two sofa beds. 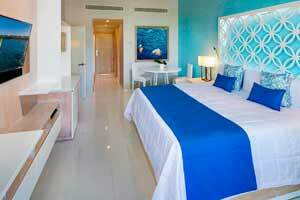 The spectacular new Suites at Grand Sirenis Punta Cana Resort, with a very contemporary and modern design. 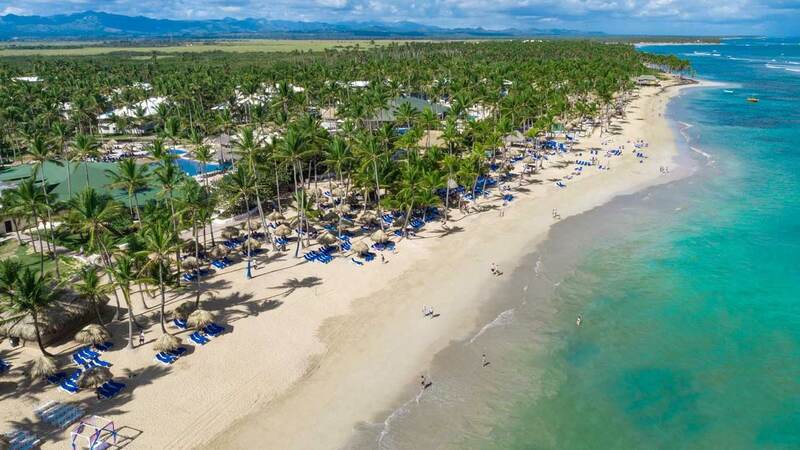 The Grand Sirenis Punta Cana Resort Casino & Aquagames Suite is designed for those who wish to enjoy their holiday in the Caribbean in luxury. The Club Premium Rooms at Grand Sirenis Punta Cana Resort, are the ideal place for the holiday you’ve always dreamed of in Punta Cana, offering every luxurious detail to make your stay the most comfortable possible.